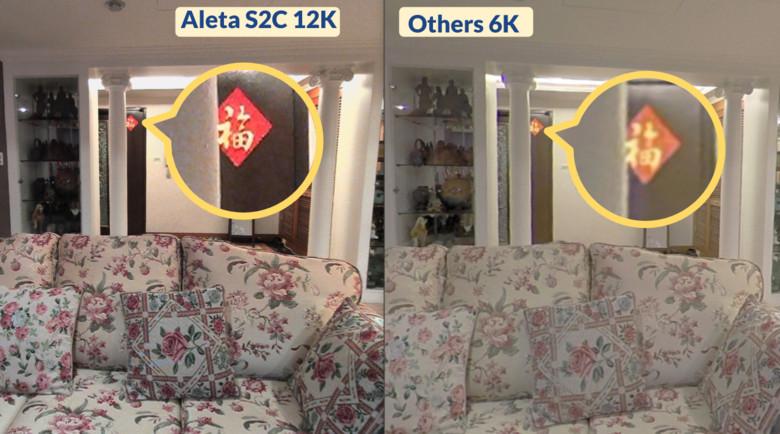 Here are comparison photos between Aleta S2C and other 360º camera. 12K vs 6K. Excuse me for not specifying which other 360º camera is, but it’s brand new and definitely mainstream dual fisheye lens 360º camera with 6K in the US market. These photos are all shot in the first week of January. All with HDR mode.